I still think the Leadership training I did with you stands out as some of the best training I have done. I refer to chunks of it regularly and have cascaded various bits to my team over the years. Thank you!! John Fredericks, Senior Lecturer, NBS. Steve is one of the most dynamic trainers I have ever had the pleasure of meeting and I have met hundreds over the years. Training Manager, Pindar. When a need for training with an outdoor element was identified Steve was my first choice as a provider. Having worked with Steve and been a delegate on one of his courses some years ago I knew he was the man to design a programme that would take the delegates out of their comfort zone in an environment that was safe and supported – he didn’t disappoint. Burton Hospitals NHS Foundation Trust – an acute hospital in East Staffordshire – asked me to work with one of the matrons to design a 12 month development programme for 15 of our ward managers. The programme needed an opening event with an element of outdoor activity involved. We were clear about the outcomes we needed the event to achieve and it was these outcomes Steve was interested in when he came to visit us to accept the brief – always the sign of a good trainer. To say the audience was reluctant would understate the barriers Steve and his colleague faced on day 1 but they both worked hard to break down the barriers and by the close of the event on day 2 the delegates did not want to leave! Post course evaluation scored the training between 9 and 20 out of 10. The combination of cerebral and physical tasks (with opt out always available and safety always paramount) coupled with the links back to the work environment was absolutely perfect. We will be rolling this programme out to other leaders in the Trust and given the feedback the delegates on this programme have given their colleagues I would be lynched if I didn’t commission Steve again. Geoff Neild, Deputy Director of Human Resources, Burton Hospital NHS Foundation Trust, October 2009. Barrie Thomas, Group Environment Manager. “You want to know about ‘leadership’? Ask a man that worked his way through the ranks of the Royal Marines. I have done several workshops with Steve, specifically on the much discussed subject of leadership. Steve brings a wealth of experience to the subject and delivers it in a creative, insightful, fun and practical fashion. A personable and inspiring character that will undoubtedly add value to any organisation he works with. He helps managers become leaders through academic research, papers and insight, first-hand experience and hands-on practical sessions. I found his sessions to be some of the illuminating of my career so far and still refer to and use today so much of what I learned. I would strongly recommend Steve to any organisation. I thoroughly enjoyed the course and have learnt an immense amount about people, how they behave, and their attitudes – fully helpful and enjoyable learning experience. Pete Sumpton, McCain Charge-hand Development Programme, Jan- Nov 08. Turning 20’ish individuals into 20’ish colleagues who will work together in the future in a single day is some target but it was achieved – an excellent day and real value for the time spent. 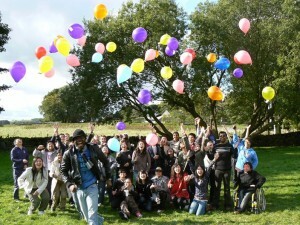 A worthwhile team building experience which balanced fun and team achievement. It was good to meet others involved in the project in an informal environment away from the pressures of the work place, this will aid freer communication across the multiple companies throughout the project and beyond. I enjoyed the awayday – it was good to get out of the office and meet some of the Bradford and Bingley people. I thought the exercises were pretty well thought out. The day was a great idea, was good fun with a strong underlying message and delivered many benefits namely; Meeting and forming bonds with other project members that were just ‘voices on the phone’ beforehand; Reiterating the benefits of working as a team; The importance of clear and frequent communication; Recognising the strengths of individuals and how best to use those. I really enjoyed getting to know people from both Bradford and Bingley and the other organisations involved in the project. I found Belbin very interesting and a great insight unto mine and other peoples Team roles. Over all it was a great experience even if we did get a little wet!! Thanks, Emily, BBG. 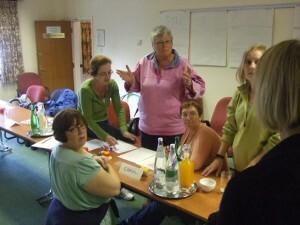 I really enjoyed myself on the day and I thought the Belbin exercise was very interesting and useful. It was a really good opportunity to meet up with the full project team. Jane, Bradford & Bingley. Thank you for facilitating the course, which was extremely beneficial for all participants. The course has given people more confidence to tackle issues that have been of concern for some time. Assistant Manager, Personnel, Cathay Pacific. Thanks for a thoroughly enjoyable two days. I have practised the techniques on our project and they are proving instrumental in training & moving forward. My boss was impressed and has passed it on to the Management team. Engineering Manager on Problem Solving course. Thanks for setting up an outstanding couple of days. The feedback from the guys was very positive. As well as demanding, I think they found it got them thinking on the key issues of handovers, teamwork and delegation. Above all though, they enjoyed it immensely and it’s got us into our stride for the year ahead. Very good couple of days. Thanks for your help.